“11 O’Clock Tick Tock” was the first single released by U2 outside of Ireland, and also the first release under the band’s new contract with Island Records. CBS Records, who would continue to hold U2’s contract in Ireland for the next few years, released the single in that country (on May 16, 1980), while Island issued the single in the UK (on the following week, May 23). Both of these initial pressings were released on 7-inch black vinyl only. U2 would also tour on this single throughout the UK and Ireland, embarking on The 11 O’Clock Tick Tock Tour on the 22nd of May. “11 O’Clock Tick Tock” first took shape as a song called “Silver Lining,” developed during live dates in 1979 and 1980. Upon signing their contract with Island Records, U2 entered the studio with a new producer, Martin Hannett, to record “11 O’Clock Tick Tock” as their next single. Hannett had become a hot producer at the time, having worked with OMD and Joy Division. (In fact, U2 was meeting with Hannett in studio on the same day Joy Division was recording their signature song, “Love Will Tear Us Apart” and witnessed those recording sessions.) “Touch,” the b-side to “11 O’Clock Tick Tock,” was recorded during the same session. It, too, was based on an earlier song, called “Trevor,” that later morphed into “Touch.” Both songs were recorded in early April, 1980 at Windmill Lane Studios in Dublin. Worried that Hannett would draw more attention than the band itself, U2 would choose to work with Steve Lillywhite as producer going forward. These two songs represent the band’s only work with Martin Hannett. Neither song was re-recorded for Boy when that album was put together later in 1980, and in fact they have not appeared on any U2 studio album. The songs were not forgotten, though, as both formed a part of U2’s live set. “Touch” was played during many early shows and throughout The Boy Tour, but has not been performed since. “11 O’Clock Tick Tock” was played consistently not only at early shows, but through to the end of The Unforgettable Fire Tour—sometimes even being played twice in the same concert! Since that time, the song has made only infrequent appearances in the live set. It was occasionally performed as a rare treat during The Elevation Tour in 2001. 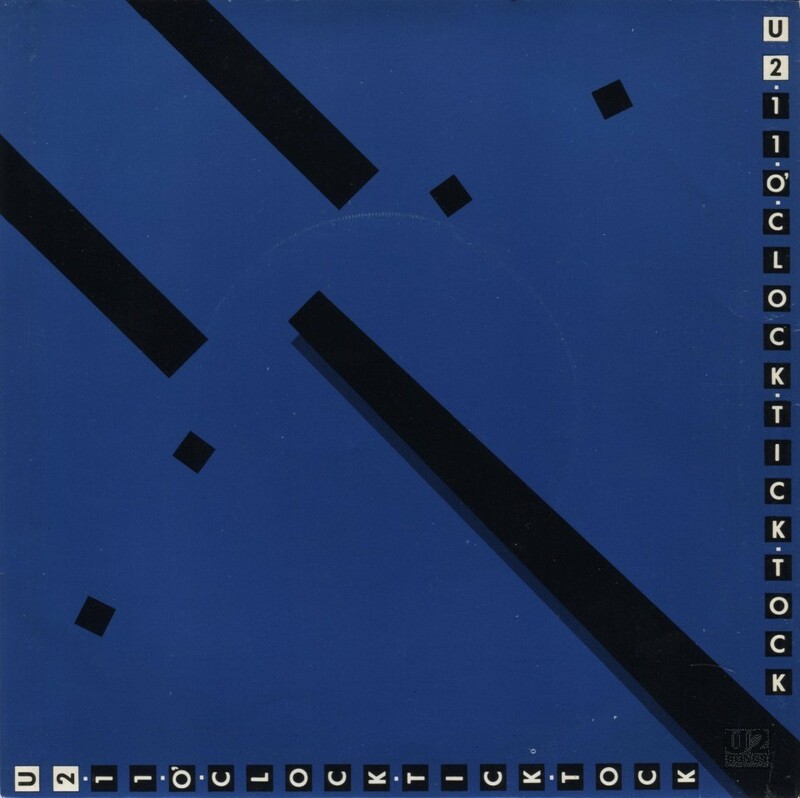 In 1982-83, CBS re-released “11 O’Clock Tick Tock” as part of the “4 U2 Play“ set of 7-inch singles, not only on black vinyl but also on yellow, white, and orange. It appeared on CD, along with “Touch,” on the bonus disc accompanying the 2008 deluxe edition of Boy. “11 O’Clock Tick Tock” has also appeared on several Martin Hannett compilations including Martin, And Here is the Young Man, and Zero: A Martin Hannett Story. It later appeared as a b-side on some versions of U2’s “Pride (In the Name of Love)“ single in 1984. These studio versions of the track exist in three lengths (3:45, 4:03, and 4:10), but are all edits of the same recording. A live version, recorded May 6, 1983 in Boston, MA, was released on the Under a Blood Red Sky album, and is the version with which most fans are familiar. Other officially released live versions include a September 20, 1980 recording in London, England (released on the Boy deluxe edition), and two versions from March 6, 1981 in Boston, MA. The main set version from that date was released on the “Fire“ single (and later the October deluxe edition and The Complete U2 iTunes set), while an encore version from the same concert appeared only on The Complete U2 iTunes release.